Founded in 1963, SIGUCCS began as SIGUCC (Special Interest Group for University Computing Centers) but changed its name in 1981 to reflect the growing use of computing amongst large and small institutions of higher education. Originally meeting at ACM events, it began hosting its own conferences in 1973 (fall user services) and 1974 (spring management symposium). 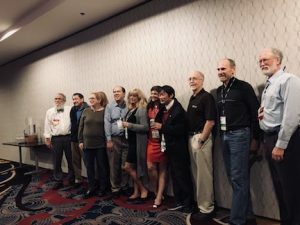 In 2011, the two conferences began to be held back-to-back and in 2016 the content from each was combined into a single conference that supports the needs of all information technology professionals in higher education, from help desk to leadership.